One or more photo(s) has been virtually staged. 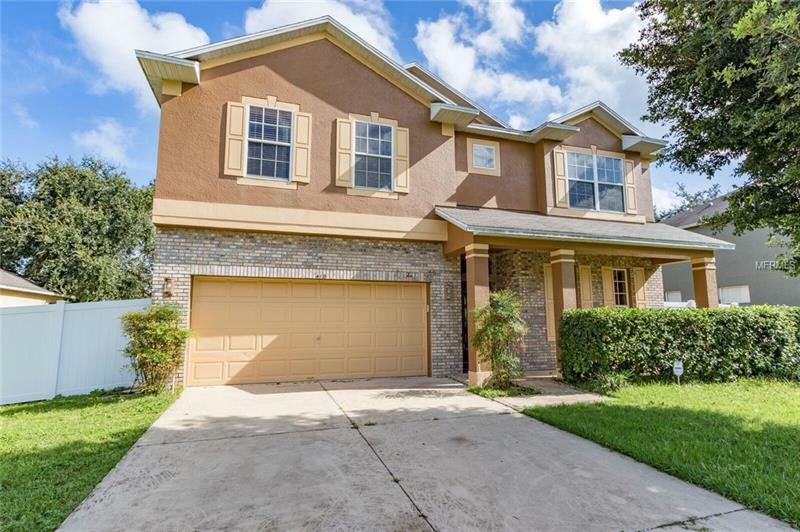 This lovely 5BR/3BA home in Highlanders Estates is ready to be yours today! Featuring 2770 sq. ft. there is plenty of space for family guests and entertaining. Immediately entering the home you will be greeted with formal living and formal dining space. Down the hall just a bit further the home opens to a large family room and kitchen combo. The kitchen offers solid stone countertops a breakfast bar pantry plus additional eating space and it overlooks the family room. The family room features sliders out to the backyard. While most of the bedrooms are upstairs the main floor does offer 1 bedroom and 1 full bath. Upstairs you will find the master suite plus 3 additional bedrooms. The master suite features a nice size bedroom 2 walk-in closets dual vanity walk-in shower and garden tub. Youâll also be impressed with the HUGE bonus room upstairs that could easily be used as a theater room playroom game room and so much more! Enjoy a 2-car garage a fully fenced in backyard and tile through the entire home. Come see it today!